Here are a few sketches from the last two sketch outings. 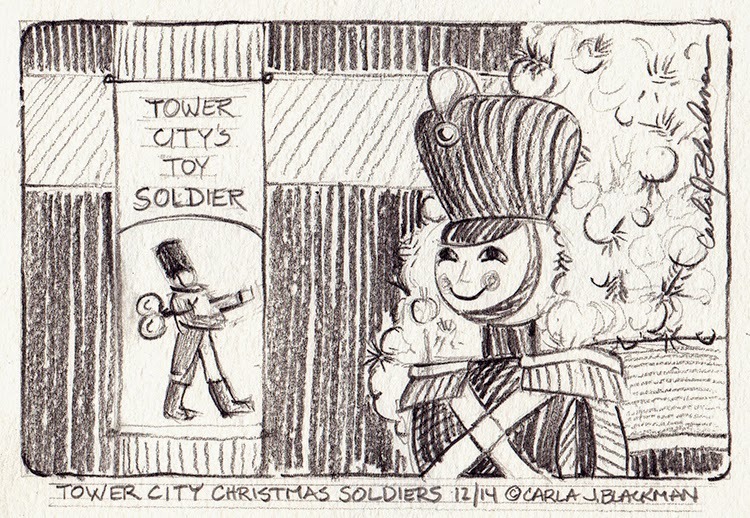 We were at Tower City at the end of December, visitors seem to really love the toy soldiers. In January, looking out to the winter scene at Shaker Square from Deweys Coffee, glad I was inside! Both sketches used General's Woodless Graphite on Moleskine, with a little watercolor. Urban Sketchers is a network of artists around the world who draw the cities where they live and travel to. Our mission is to "Show the World, One Drawing at a Time." Visit our main blog at urban sketchers dot org for more information. 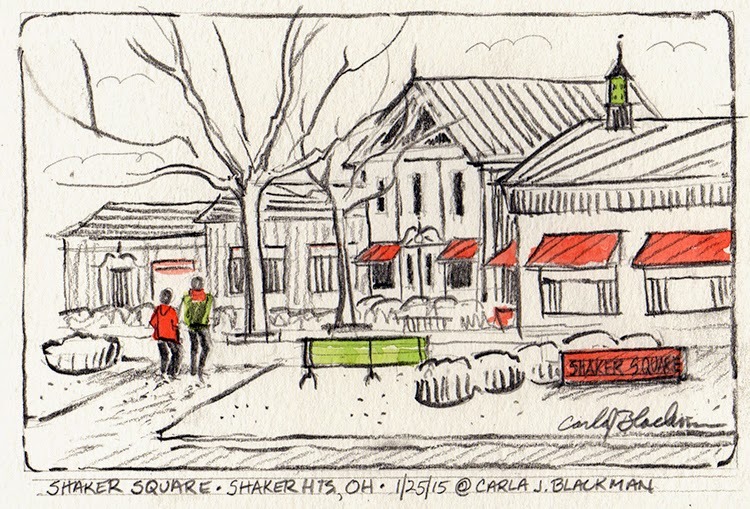 Sketchers in the Cleveland area share their drawings on this blog. 1. We draw on location, indoors or out, capturing what we see from direct observation. 2. Our drawings tell the story of our surroundings, the places we live and where we travel. 3. Our drawings are a record of time and place. 4. We are truthful to the scenes we witness. 5. We use any kind of media and cherish our individual styles. 6. We support each other and draw together. 7. We share our drawings online. 8. We show the world, one drawing at a time. The Urban Sketchers logo was created by Italian graphic designer Franco Lancio.